Mike O'Mary is author of The Note, a book about the power of appreciation that was named the Best Gift Book of 2011 in the Living Now Book Awards. Mike is also author of Wise Men and Other Stories, a collection of holiday-related essays. In addition, Mike founded the Note Project, a campaign to make the world a better place by encouraging people to share notes of appreciation with others. Mike is also founder of Dream of Things, a book publisher and online book store, and series editor for Dream of Things anthologies, including Saying Goodbye, a collection of true stories about how we say goodbye to the people, places and things in our lives, and Be There Now, a collection of travel stories from around the world. In his career, Mike has written essays, fiction, drama and sketch comedy. He has published stories and essays in the Sunday magazines of the Chicago Tribune, Denver Post, Rocky Mountain News, Baltimore Sun, Cleveland Plain Dealer and Detroit Free Press. © Copyright 2016 Michael O'Mary. All Rights Reserved. 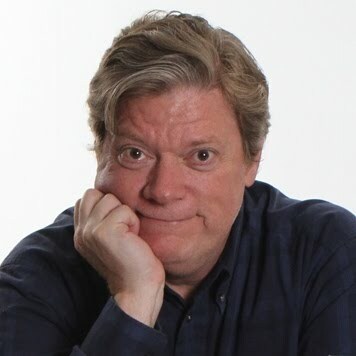 Mike has also written and produced sketch comedy in Chicago, and he was a commentator on WNIJ - Northern Illinois Public Radio, doing weekly commentaries as part of the local segment of National Public Radio's Morning Edition program. Mike is a graduate of Knox College (BA in Economics and English-Writing), the University of Montana (MFA in Creative Writing, MA in English Literature), and the Second City Comedy Writing Program. In addition to his creative work, Mike has more than 20 years of experience in corporate communications, producing speeches, annual reports and other executive communications for the CEOs of many leading companies, including AAR Corporation, Andrew Corporation, Bank One, DeKalb Genetics Corporation, Discover Financial Services, Federal Signal, GE Zenith Controls, Hewitt Associates, Nicor Inc., RR Donnelley, Tellabs, UOP and others. To contact Mike, write to mike@michaelomary.com.